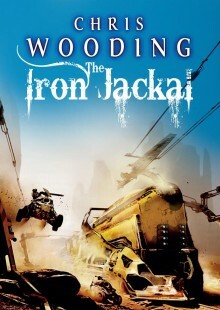 The Iron Jackal was a cussed and testy little book, as opposed to its two much more agreeable predecessors. It became the newest member of my Hall Of Shame, which incorporates all the books I’ve restarted or given up on because, well, I just got them wrong the first time. Other notables are The Weavers Of Saramyr (threw the whole book away and started again) and The Fade (threw half the book away and started again). This time it only took me a quarter of the book before the alarm bells got too loud to ignore. I’m learning, you gotta give me that. The problem was that it originally just wasn’t as good as the first two. I was trying to cram in too many storylines, and the plot was too diffuse, and everything was just too slow. Slow for a Ketty Jay book, I mean. Had it been the first of its kind, I probably wouldn’t have had a problem, but by now you guys had, like, expectations and stuff. And I didn’t think you’d take very kindly to a more rambling and introspective Ketty Jay-a-thon. Oh no. So, being handy with the editorial axe, I chopped out half the plot and reworked the rest. Fret not, the part that was sacrificed will mostly be recycled in Book 4, but for now I needed a more streamlined and straightforward narrative, and so I began again. What is now Chapter 1 was originally Chapter 11 (!!) of the first draft.